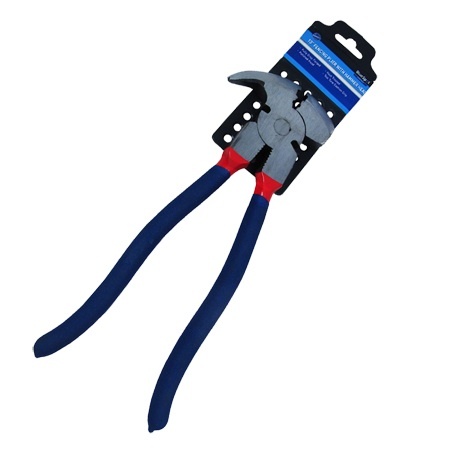 Blue Spot 10'' Fencing plier. The fence plier has a fully polished hammer head and is fully drop forged and heat treated for exceptional working life. Complete with two tone cushion grip handle for prolonged comfortable use. 10" length. Superb quality and value from Blue Spot Tools.